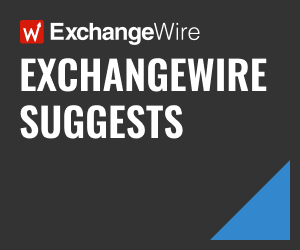 In this weekly segment, ExchangeWire sums up key industry updates on ad tech from around the EMEA region – and in this edition: European Commission Writes ‘Code of Practice’ to Combat Fake News; AT&T Launches New Advertising Company Xandr; Facebook’s Clashes with Instagram Prompted Co-Founders’ Departure; Will Chinese Censorship Cause Internet to Split in Two? VPNs Keep Providing Access to Free Internet in China; and Adobe Unveils Virtual Analyst & New Audio Analytics Capabilities in Adobe Analytics. 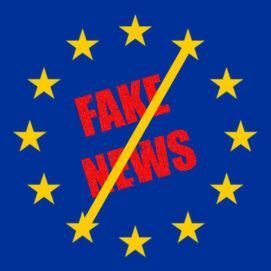 This week, representatives of online platforms, leading social networks, advertisers and advertising industry agreed on a self-regulatory Code of Practice to address the spread of online disinformation and fake news. This is the first time worldwide that industry agrees, on a voluntary basis, to self-regulatory standards to fight disinformation. The Code aims at achieving the objectives set out by the Commission’s Communication presented in April 2018 by setting a wide range of commitments, from transparency in political advertising to the closure of fake accounts and demonetisation of purveyors of disinformation. The Code includes an annex identifying best practices that signatories will apply to implement the Code’s commitments. The Commission has also published the opinion of the Sounding board of the Multi-stakeholder forum on the Code of Practice. More information on the EU Code of Practice can be found here. AT&T announced on Tuesday the launch of XandrSM, its new advertising company led by CEO Brian Lesser. The announcement was made at the Relevance Conference, Xandr’s inaugural conference in Santa Barbara, California. 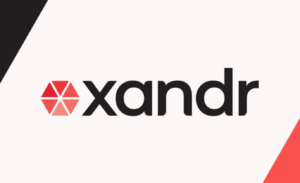 Xandr encompasses all aspects of the existing AT&T advertising and analytics businesses, including AT&T’s advanced TV business, AT&T AdWorks; AT&T’s data and analytics business; ATT.net and AppNexus, which will continue to support its U.S. and global customers under the Xandr umbrella. This new kind of advertising company has four key advantages, which include data, premium content, advanced advertising technology, and AT&T’s distribution to more than 170 million direct-to-consumer relationships across wireless, video, and broadband. To underscore its commitment to personalisation, Xandr teamed up with Insight Strategy Group and Advertiser Perceptions to conduct surveys and on-the-ground ethnographies in order to understand the dynamics between consumer sentiment and the advertising experience. These findings formed the basis of the inaugural Xandr Relevancy Report, original research on the state of consumer attention, which found 66% of consumers wish advertisements were more relevant to their interests and lifestyle, while 57% said ads are not relevant to them. However, consumers recognised the importance of advertising: 64 percent of those surveyed believe advertising enables independent voices to be heard on the Internet, while 70 percent like when ads go beyond just selling a product. Internal conflicts included Facebook’s tweaks seen as promoting the social network’s growth at the expense of Instagram, the Wall Street Journal reported. Over the past year, that began to change. 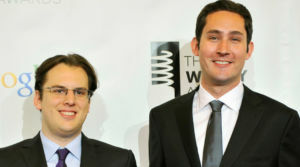 Instagram’s co-founders Kevin Systrom and Mike Krieger frequently clashed with chief executive Mark Zuckerberg over a range of issues, including the extent to which Messrs. Systrom and Krieger could chart their own course, according to people familiar with the relationship. The co-founders also were upset about some product tweaks to the photo-sharing app that seemed designed to promote Facebook growth at Instagram’s expense, some of the people said. The tension played out against a backdrop in which Instagram was emerging as a more popular product among certain market segments. 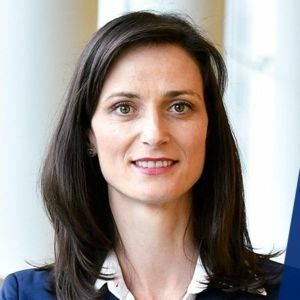 Facebook teams began exerting more control over their Instagram counterparts, prompting some top executives to leave, some of the people said. A few weeks ago, for example, Instagram’s marketing division was subsumed into Facebook’s marketing team, they said. Mr. Systrom and Mr. Zuckerberg frequently butted heads, including as recently as a few weeks ago, over Facebook’s shifting growth strategies. Instagram officials argued that some of Facebook’s product changes undercut the app’s ability to add and retain users. Still, few at Facebook’s Menlo Park, Calif., headquarters were prepared on Monday when Messrs. Systrom and Krieger’s said they would be leaving Instagram, the company they had launched from scratch a decade ago when they were both just out of Stanford University. Instagram has been a major bright spot for Facebook, which has faced a barrage of bad press in the last two years for allowing misinformation, violent live videos, and other bad actors to exist and, in many cases, thrive on its platform. Facebook is facing a slowdown in user and revenue growth. Instagram has remained largely above the fray. It is viewed by many users as less political and divisive, with a focus on travel, fashion and celebrity culture that has become less a central part of the Facebook experience as the site has emphasised more news. In recent months, Mr. Zuckerberg and other Facebook executives started preparing for the possibility that the Instagram co-founders would leave, according to a person familiar with his thinking. The leaving of Messrs. Systrom and Krieger follows the departures of the co-founders of Facebook’s other big acquired properties, such as the co-founders of virtual-reality device maker Oculur VR and the messaging service WhatsApp. People familiar with their relationship said Messrs. Systrom and Krieger are close allies and were always expected to move in lockstep. One was unlikely to stay if the other left, the people said. It was reported Wednesday that the Twitch app, which live-streams computer games, has just been blocked in China and removed from the local app store. The app skyrocketed into popularity in the country after people were using it to watch e-sports 2018 Asian Games, and became the third most popular app in China. China’s state media broadcaster did not air the competition – where China won two gold medals – which led people to download Twitch in large numbers. Recently, ex-Google CEO Eric Schmidt said that the internet would split in two by 2028. 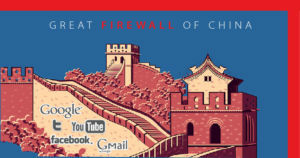 According to Schmidt, the process is already under way, as the ‘Great Firewall of China’ is blocking Chinese citizens from accessing the Western internet’s most popular sites. Adobe unveiled on Monday a new virtual analyst in Adobe Analytics, that builds on existing technologies to now automatically uncover insights without the user having to ask. By leveraging Adobe Sensei, Adobe’s AI and machine learning framework, it will empower brands to drive more value from analytics by surfacing signals that would have otherwise gone unnoticed. This can include valuable insights around what drove unexpected spikes or drops in key metrics such as online orders and web traffic, critical to addressing escalations in real-time and finding new opportunities to grow revenue. The new virtual analyst is built on an umbrella set of solutions in Adobe Analytics. This includes Anomaly Detection (where the system looks for statistically significant deviances in data), as well as Contribution Analysis (identifying factors that contribute to anomalies). Adobe also announce on Monday they are making available new audio analytics capabilities so that brands can tap data to drive everything from monetisation strategy to personalisation. The new capabilities will be available for both online and offline tracking, and supported on all major device platforms, including connected cars.